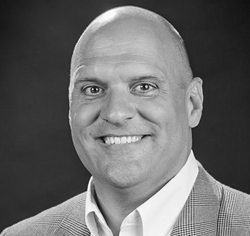 Jeff brings decades of experience to SaltStack in enterprise cloud and systems management software development. Jeff’s extensive experience in developing systems infrastructure and cloud automation software will benefit all SaltStack Enterprise subscribed customers as well as users of the Salt open source software. SaltStack, creators of systems management software stack for server configuration, data center infrastructure automation, and cloud orchestration, today announced the appointment of Jeff Porcaro as SaltStack VP of engineering. Jeff brings more than 24 years of software development and engineering experience to SaltStack, specializing in enterprise systems and cloud management software platforms. Prior to joining SaltStack, Jeff was vice president at Adaptive Computing, a position he also held at Central Logic, Symantec and Altiris. While at Altiris and Symantec, Jeff was the engineering lead for strategic technology alliances with HP, Dell, Intel, IBM, Fujitsu-Siemens and Microsoft. Jeff now manages the build and release process for SaltStack Enterprise software while applying his abilities in software user experience, quality assurance, customer support, operations, and project management to deliver enterprise-grade software solutions.